Dave, our race director, was super excited today to get his hands on the first ever Kirkbymoorside 10K event t-shirt. The shirts, kindly sponsored by Marshall Advanced Composites, will be handed out to all the runners who come to collect their race number from the registration hall on Sunday 6th May. We’re hoping that some of the runners choose to wear their t-shirt for the race itself. We’ve worked hard to make improvements to the event and that includes providing our runners with additional memorabilia. We’re very grateful for the support of Marshall Advanced Composites for sponsoring the shirts. We confident the runners are going to love them and I’m hoping to see plenty of locals wearing them for training runs in the years to come. As well at t-shirts for our 500 fantastic runners in our sell-out race, Runner Print Winner have also sent us some “Volunteer Edition” version of the shirt. You will be able to see our fantastic event staff sporting these on race day. Will you be wearing yours? We have some fantastic news – the Kirkbymoorside 10K has sold out for the second year running! Entries have piled in throughout April with a total of 170 in just 24 days. This means that over a third of our 500 runners entered this month. The running community like to keep it last minute, I guess. We set a target each year of having at least 10% of our runners coming from the local area. We define the “local area” as an address in either Kirkbymoorside, Gillamoor or Fadmoor. We’re pleased to see that we achieved this with exactly 50 of our runners qualifying as local and therefore eligible for our local runner first prizes. The first female and male local runners each win a Lemon Tree Fish & Chips voucher and a bottle of locally produced Kirkby-Moor-Cider. Once again we have a strong contingent coming from a variety of running clubs from the length and breadth of the country. York Knavemire Harriers lead the way with a massive 41 entries. Quakers RC (from the North East) follow with 24 entrants, and the third largest club represented is Scarborough Athletic Club with 18 runners. A few stand-out clubs names are Aberdare Valley Aac from south Wales, Kings College London Athletics And Cross Country Club (that’s a long name), and British Library Boston Spa Ac. Of course, our race is for people of all abilities. We’re open to both club and non-club runners and this year over 60% of our runners are not from running clubs – 306 entrants to be precise. To celebrate this group of runners we have a new award for the first female and male unaffiliated runners. The two winners will each receive a bespoke commemorative plate made by local artist Liz Bailey. We’re looking forward to welcoming everyone to Kirkbymoorside on Sunday 6th May and hope all our runners have a great race and that the crowds cheer them to the last. We are pleased to announce that 2018 will be the first year that runners of the Kirkbymoorside 10k will receive a t-shirt! Thanks to the wonderful support of Marshall Advanced Composites, who have a site in Kirkbymoorside, we are able to provide all our runners with a fantastic technical running t-shirt. But don’t worry, in addition to this runners will still also receive our traditional mug. We recognise that the running calendar is getting ever more crowded and we are delighted to be able to reward our runners with something many other races are already offering. To avoid congestion in our busy finish zone the t-shirts will be handed out when you register on the day, along with your race number and timing chip. By giving you the t-shirts before the race we do hope that many of you will choose to wear it to run in on the day. If you haven’t entered the 10k yet then what are you waiting for. Click here to enter now. The thing about being a volunteer is that eventually you have to do the jobs that must be done but aren’t necessarily enjoyable. Today I was updating the health and safety documents for 2018 which can be tedious but I take it seriously given that keeping our runners and spectators safe is of paramount importance. But the really good bit for 2018 is that we’ve upgrade our traffic management. This year we are pleased to announce that we’ve extended the road closures for the safety of our runners. The high street will be completely closed for the 4k teen run and the children’s 1 mile. Previously traffic had been controlled segregated with cones, however last year I observed far too many idiotic drivers who simply didn’t care so I have worked with Community Traffic Management to ensure the roads main street is completely closed with diversions in place for vehicles. The street, as always, will also be closed for the children’s dash. We also looked at the 10 and have some new safety provisions for 2018 in this race also. Last year runners were using the full width of the road AFTER the end of the road closure zone – therefore taking up the whole road with potentially oncoming traffic! So, runners will now be briefed on the start line as well as funnelled down to the left of the road prior to the end of the closure zone to ensure they keep left. Also, up in Fadmoor we’ve implemented periodic road closures around the right turn onto Sleightholme Dale Road to improve runner safety (even though it’s their choice to cut the corner into oncoming traffic!). Finally, Hagg Road (you know the one, with the cheeky final climb) will be closed to west-bound traffic so that runner won’t face any oncoming traffic on this narrow road (it will also mean our lead car can give his horn a rest!). Running a safe event is really important to me a Race Directory and I take it very seriously. Hopefully you will appreciate the work we’ve done for 2018 after taking on feedback and looking at our own observations for previous years. 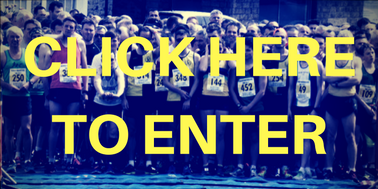 Early bird entry for the 10k is ending tomorrow (31st January) at midnight. Enter now for the great price of just £13.99 for affiliated runners or £15.99 for unattached runners (inc. 99p on-line processing fee). Entry fees will increase from Thursday 1st February. All proceeds from the Kirkbymoorside 10k are split between the Friends of Kirkbymoorside CP School charity and Gillamoor school PTA. The funds are used to purchase equipment, fund school trips, swimming lessons on travel expenses – all things that are supplementing the children’s educations. As well at the 10k race on the Sunday we also welcome back the Tour de Yorkshire to Kirkbymoorisde on the Saturday, making the May Day weekend a Festival of Speed in our town. We hope to see you there on Sunday 6th May! 1) The tour comes through Kirkbymoorside! 2) The tour comes through Kirkbymoorside on the Saturday and thus avoids a clash with our 10k! This is great news as cycling fans who also love to run can make a weekend of it here in the Gateway to the Moors by catching the peleton on Saturday and running the 10k on the Sunday. We make no apology when we say that the 2016 tour ruined our event. It came through the town bang in the middle of our races and it not only decimated the entries to the main 10k but also sucked the life out of the town for the teens races too. We love the fact Yorkshire has such a fantastic global event, however it does tend to ride rough shod over anything in it’s path. But it was clear in 2017 when it came nowhere near Kirkbymoorside and our race was over-subscribed that it had been the overriding factor in the our low numbers the previous year. This year we get the best of both. We have the peleton passing through the town on it’s course from Richmond to Scarborough on Saturday 5th May so the town and cycling enthusiasts (like me) can enjoy that. Then on the Sunday we have the fabulous 10k event plus the Beadlam Tractor Run. It’s going to be a busy week for the town and I personally am looking forward to the town dressing up again for the weekend!